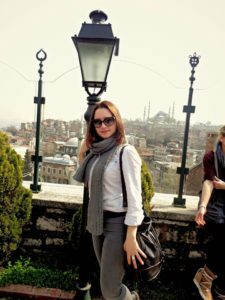 Vasiliki Andrioti, member of AEGEE-Ioannina, main organiser of a Winter University and of a NWM, is one of the most active members of her Antenna. She also collaborated as SubCommie with Network Commissioner Spyros Papadatos. Now she wants to share her passion for the SU project and improve it. Furthermore, Vasiliki shares some proposals about the 30th anniversary of the SU. We interviewed her about her candidature and her programme. The AEGEEan: Why did you decide to run for a position in the Summer University Coordination team? 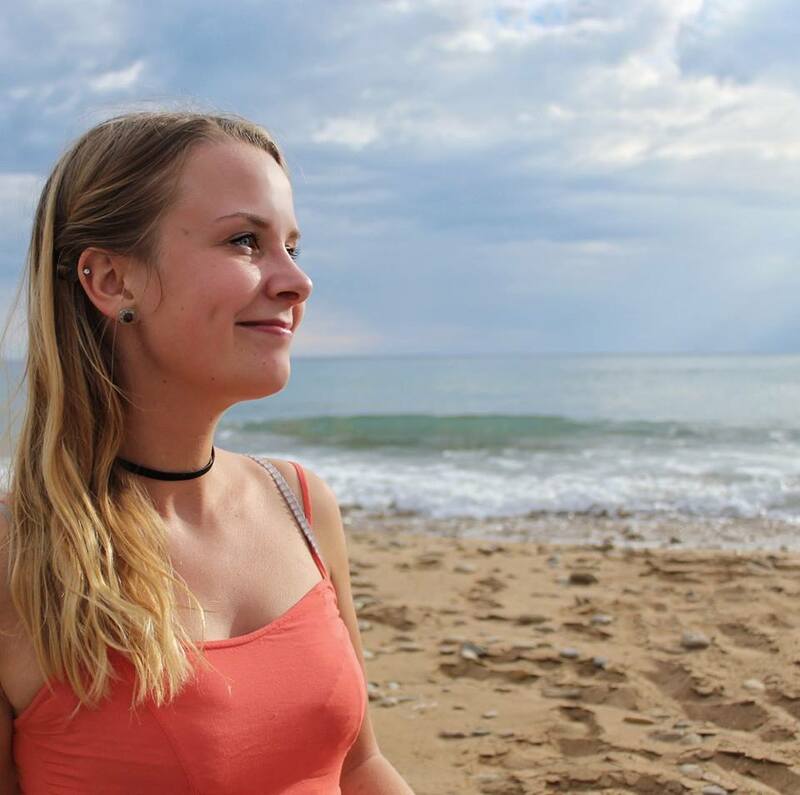 Vasiliki: Summer University is the project that changed my life. Even if it sounds cliché for an AEGEEan to say so, this is the truth. I consider myself a totally different person before and after Summer 2016. Using this SU’s title BBS, I am Bigger, Better, Stronger after it. I am very passionate about SU. So my will to get involved on the European level (other than The AEGEEan, that matches my academic interests) is an absolute extension to my passion for Summer University. Through this year that I have become actually active by organising and participating to various events (SUPS, SU, NWM, Agora, etc. ), I have gained skills and I have come up with ideas that I can see now visualised in the Summer University Project. This is my main motivation for running for Fundraiser and Content Manager. 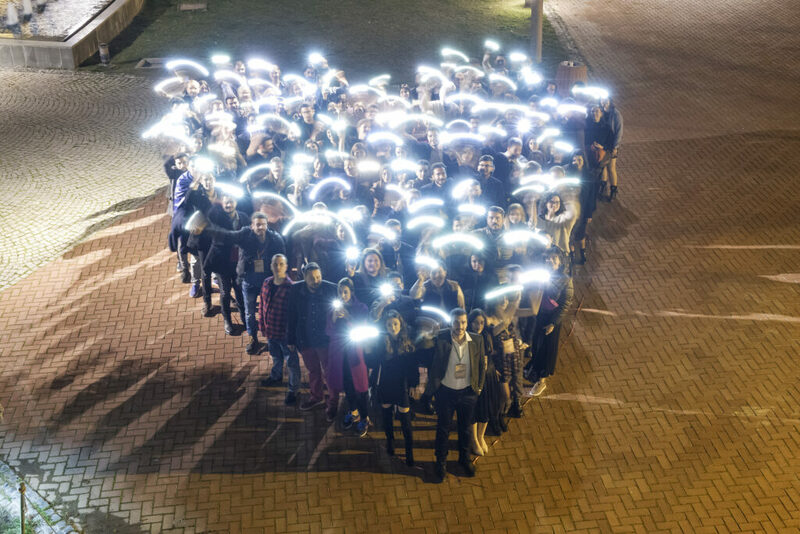 I would like to give back to AEGEE and SU, specifically, what I have been gifted on experience and knowledge. I would consider myself really proud to be part of this team. 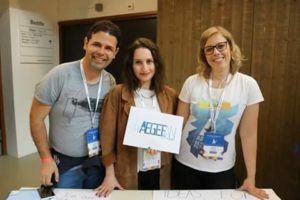 You are in the board of AEGEE-Ioannina, appointed main organiser for upcoming events, already active at the European level. How do you plan to balance your committments with SUCT? The last year I admit that it has been very active for me. As I usually say, my life is all about AEGEE now. Actually I owe this motivation that keeps me moving to Summer University. It wasn’t hard for me to decide that I wanted to involve myself on the local and, after a while, on the European level, as I was seeking a medium to express myself. Until now, I have managed to cooperate very well and to live up to the expectations in every position. I am the perfectionist type of person [she laughs]. I always give 100%+1 of myself in everything I am involved. And this is what I am planning to do with SUCT as well. I am very passionate about this project and I am absolutely ready to be devoted and work for it. As for my other commitments, on the local level I am only busy on a demanding level up to the 5th of November, that NWM-Ioannina finishes its circle. 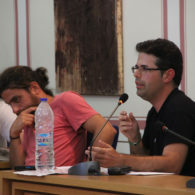 Other than this, my fellow board members and NetCom Spyros Papadatos are aware of my decision and they support me with any potentially increased duties. My first priorities this year are two: SUCT and The AEGEEan. I am finding myself to have ideas that I would really like to put in practice for both projects. This year I feel the need to create and give back to the association the knowledge and competences I have gained all this time. To conclude, I do not believe in neither quitting nor over-taking responsibilities. I believe on being able to put duties in hierarchy and trust me, I know this well. If it is on stake, SUCT will never come second. What is your most relevant experience when it comes to Summer University? 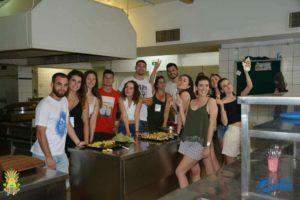 In the last two years I have participated in four Summer Universities (Ioannina 2016- helper, Cagliari 2016- participant, Ioannina 2017- organiser & trainer, Cagliari 2017- helper). Ioannina-Cagliari, 2-2 [she laughs]. 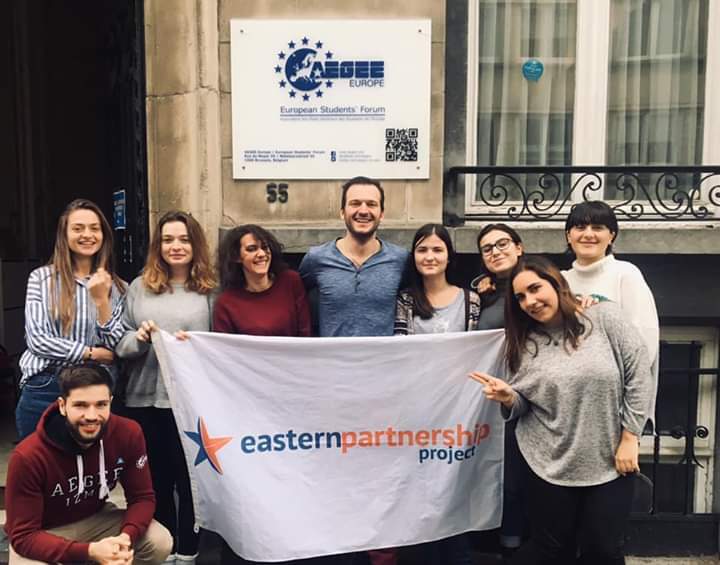 I have covered pretty much every position available in a Summer University project and I am really thankful for the experience of getting to know this amazing AEGEE spirit. Other than this though, I have gained a series of competences and skills, such as project management, public speaking and communication, risk assessment, delivering sessions, leadership, FR, being the ever happy reader of the gossip box, cooking for fifty people [she laughs], etc. But above all, I would put teamwork. A SU is a teamwork project, from whichever point you may see it, and I consider this my most valuable gain from it. Your application is very focused on content. Do you have any idea on how to develop a fundraising strategy for SUs? My application is mainly focused on content, because my primary interest in SUCT is Content Manager. In my years in AEGEE I have mostly worked on this direction on the local and European level. 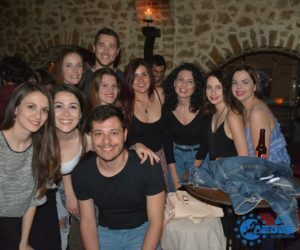 In my local, AEGEE-Ioannina, I have been working as main organiser or organiser for events, meetings, presentations being mainly responsible for the content. I believe that content is what builds the basis on which every activity can be further developed. 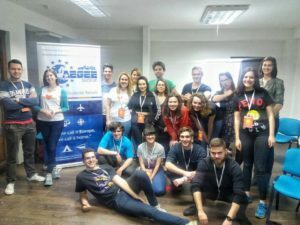 As for the European level, I have been a member of The AEGEEan for almost a year now and I have gained experience on communicating with various people across the Network for interviews, writing interviews and getting involved with a wide range of subjects that concern AEGEE. Lastly, since Agora Enschede I have been a SubCommie to NetCom Spyros Papadatos (on the field of Thematic Events). I think that quality should be a priority when it comes to a project like Summer University, and I am in the position to offer this quality as Content Manager with my knowledge and experience. 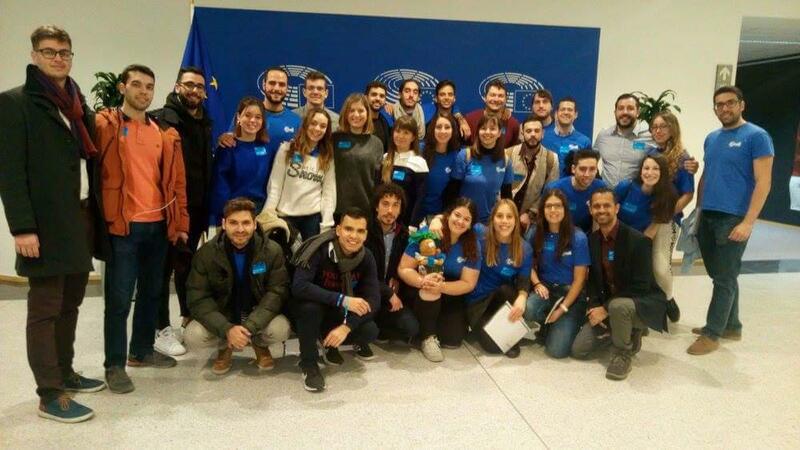 Despite this, being a main organiser twice (“Our Big Fat Greek Winter University”, on behalf of my antenna, and NWM-Ioannina), I also have experience on Budgeting and Corporate Fundraising, which is the strategy that we mainly follow in AEGEE-Ioannina. Therefore, I have realised that, on the field of Corporate Fundraising, it is easier for a company to offer funds to a contentful event or project that means to have an impact. This is the reason why I am insisting that much on content and I am running for the position of Fundraiser as well. If I am going to be elected, I would like mostly to collaborate with CIRC, the European Body responsible for this. My aim is to bring locals closer to an actual assistance on fundraising, other than providing them only with models, that sometimes can be proven unrealistic or difficult to be adopted. I feel very challenged to achieve this composition between Fundraiser and Content Manager, even if I believe deeply that fundraising for SUCT is the product of teamwork among all SUCTies. Do you have previous experience in fundraising for associations? 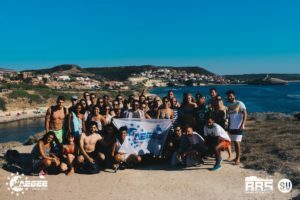 As Main Organiser of the upcoming Autumn NWM Ioannina 2017 (main organiser) and “My Big Fat Greek” Winter University 2017 (main organiser for AEGEE-Ioannina), did you use some sort of fundraising strategy (i.e. for goods, gadgets, funds or grants)? The experience I have on Fundraising is mainly focused, as I have said, on Corporate Fundraising. In AEGEE-Ioannina we mostly follow this strategy because it is more realistic on its goals and more suitable to the current economic situation in Greece. For the upcoming NWM-Ioannina, for which I am the main coordinator, I have chosen this strategy, in collaboration with the Fundraising Director of AEGEE-Ioannina, asking for goods that cover all requirements (meals, logistics, transportation expenses, etc.) of a four days event as NWM is. 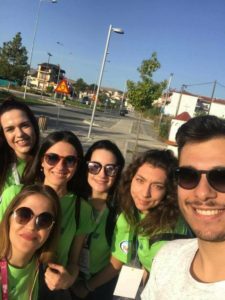 As for Institutional Fundraising, during “Winter University” we managed to make some steps by contacting and establishing a potentially fruitful relationship with the Municipality of Ioannina. What would you like to organise for the event for celebrating the 30th anniversary of Summer University Project and why? 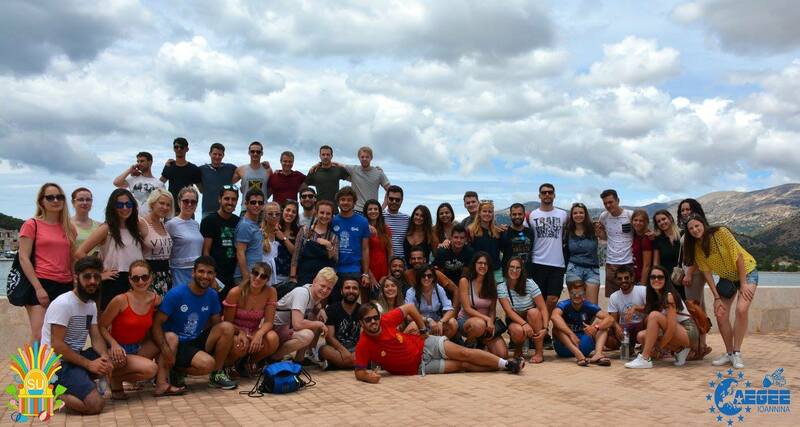 Summer University is the biggest and longest running project in AEGEE. As this year is celebrating its 30th anniversary, I believe it should be honoured with a celebration that will recognise and pay its respects to all organisers, participants, SUCTies and every person that has contributed to it. I have two ideas right now in my mind. The first proposal would be an exhibition with the history, photos and memoirs from all year’s of Summer University Project in next Agora. My second thought would be to contact The AEGEEan’s Editor-In-Chief and begin a new section, which will be dedicated to the 30th anniversary. Of course though, if I am going to be elected, I would like to cooperate with current SUCT and CD about the work that has already be done and the aspirations that they both have on the anniversary. During the SUs we ask organisers with no previous experience on how to deliver a session to deliver workshops. Could you elaborate on how you would like to develop the booklet with interactive ways for delivering the compulsory sessions? I share the same concern about what you are refering to. I have participated in four SUs (and many other events) and if I have to be honest, I have rarely seen organisers or participants enjoying or getting the most out of the knowledge they are being provided with. This is from where I got my idea about the booklet of interactive ways to deliver a session. I would like to mostly work with SUpporters and European Bodies for creating and publishing it. In extent, I would like to hold an open call for the Network, so that people with relevant experience on delivering sessions in both formal or interactive way can share their knowledge or experience. This booklet is going to involve specific guidelines and examples on how to deliver a workshop (compulsory or of any other subject). Having participated in Erasmus+ projects, which develop in a large scale this system, I have witnessed that non-formal education can be more efficient than traditional ways of knowledge transfer. Other than this, I am of the opinion that an organiser who has never delivered a session will find it easier to adapt an interactive way to their personality, enrich it with their own experience and therefore, be able to hold the workshop successfully. Make it theirs! Professional trainers or even experienced ones are not always a solution for every local, and besides this everybody starts from somewhere. Moreover, such sessions can be held at any time and any place, which is a big advantage to the overall result. This booklet will be available before SUs and even explained and introduced in the SUPS. In your programme you refer to a forum/session in the SUs that will aim to provoke discussion on everyday issues. What exactly are you aiming with this? Thank you for making this question to me, as this is one of the most challenging aspects of my programme. The idea begins from the Open Space that already exists in NWMs. I have participated in two NWMs (Cagliari 2016 and Thessaloniki 2017) and I have been inspired the most during this specific session. This is the reason why I would like to see it implemented in a SU. 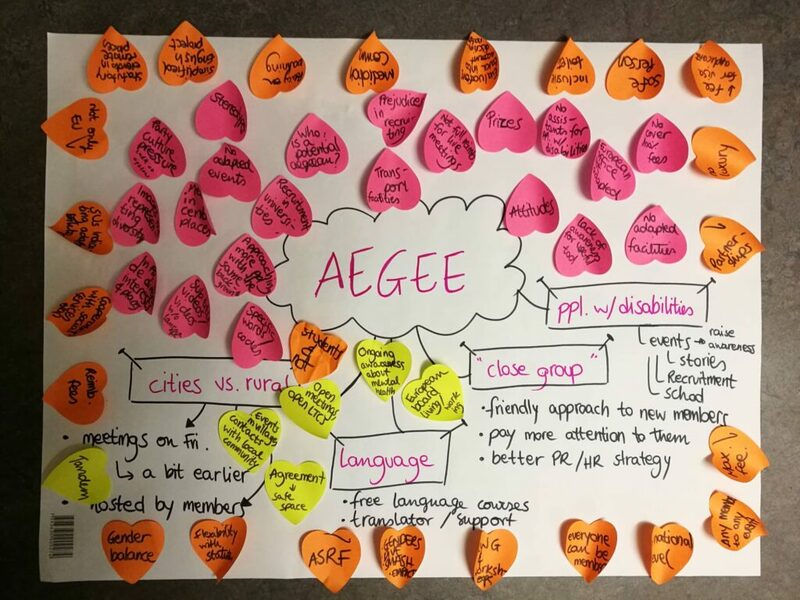 SU is the most successful and recognisable project in AEGEE, which attracts hundreds of participants every year. Therefore, I think it is fit to have a forum/session that matches the ever moving world we are living in. The current political, social and economical situation in Europe provokes a sense of instability among every citizen, let alone young people like us. 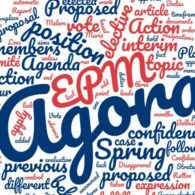 The very successful title of last year’s EPM, “Populism: Europe Under Siege”, describes in the best way possible the reality we are living. 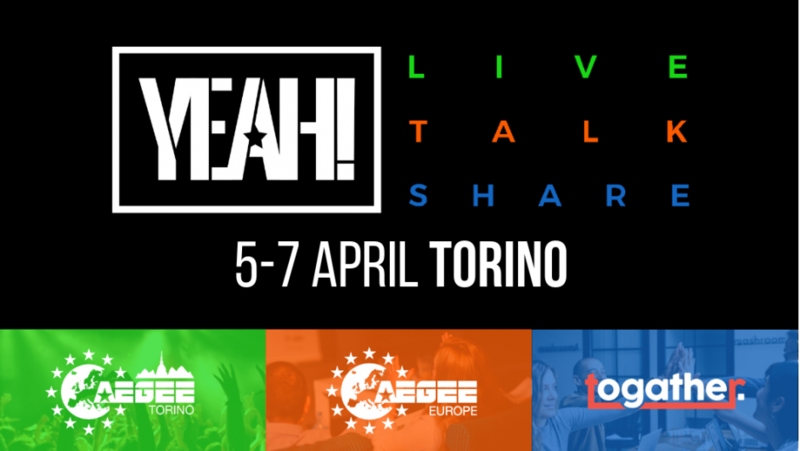 In this forum/session young people (participants and organisers) will have the space to express their thoughts and fears regarding AEGEE and beyond AEGEE issues. For me this is a form of public discussion and communication. 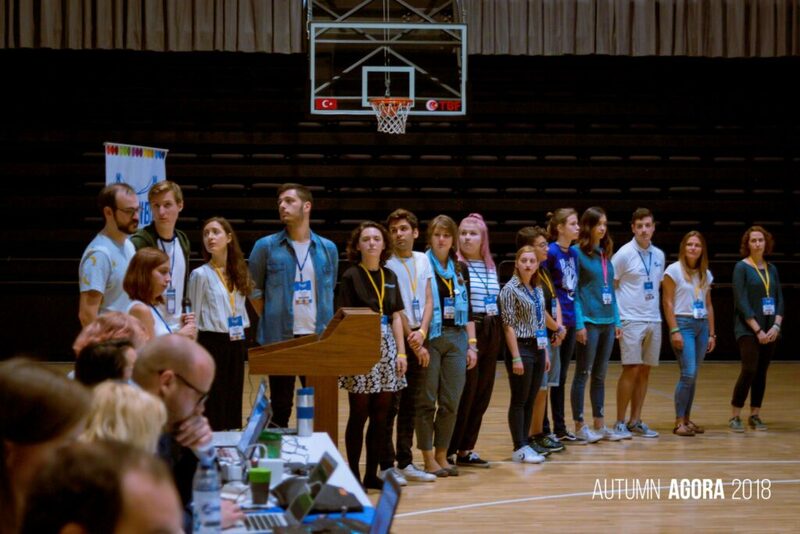 Other than compulsory workshops on what AEGEE is and the Focus Areas, we need to listen to the voice of our Network. My aim is to achieve a wider integration to society’s issues and to prepare young people to face the challenges of our era. Finally… IDEAS. 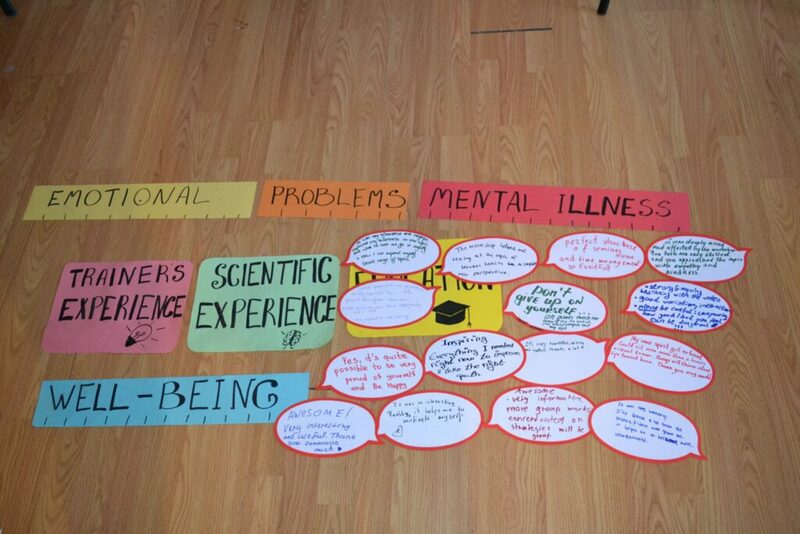 Ideas that will lead to future projects/groups in AEGEE and will transfer these problematics from theory to practice. Summer University inspires us all and I believe it is the right place for such a forum/session (whichever the name) to exist. What do you hope to achieve through the collaboration with European bodies and external partners? I can only sum it up in two words. Rich content. Through a close collaboration between European bodies and external partners, locals can have an efficient assistance on finding and establishing the core, the basis, around which they can organise their SU. 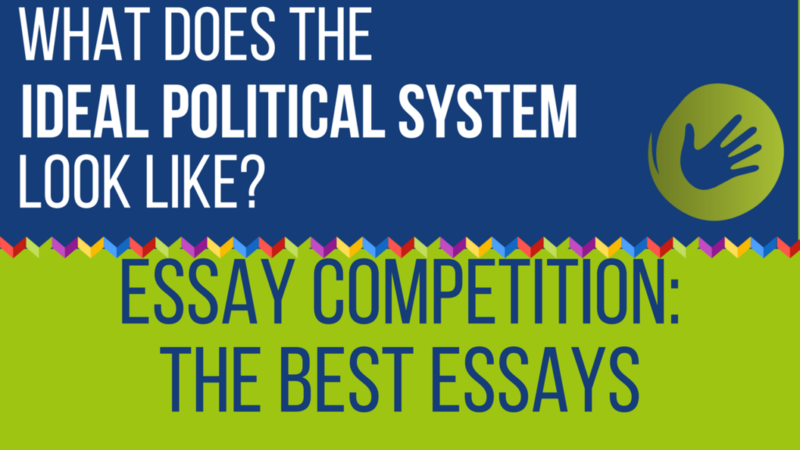 As an organiser, I know that it can be proven difficult to come up with an idea about a SU. As a potential Content Manager, I would like to help this become easier and also, taking it one step further, support and motivate locals to get out of their comfort zone and create a SU that will challenge them. Moreover, locals can also cooperate with European bodies by asking trainers on that specific theme they choose as content. Content is not to be feared by organisers or participants. It can offer a solid structure to the SU and help with all aspects (FR,PR, etc.). It can be implemented in various ways and have different forms that will appeal on organisers and participants. 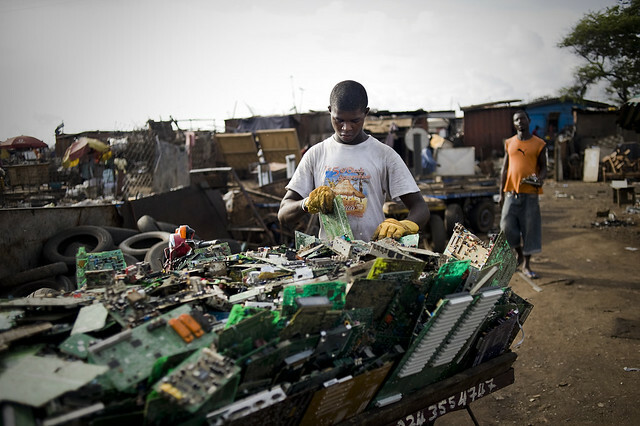 We do not share all of the same interest, but we need to make our own the project we are organising. I am very willing to help locals through this process and achieve a wide range of Summer Universities for every interest. You said in your application that you want to keep SUpporters and activate them more. Do you have programme for that? What exactly and how they can support you? In our opinion, why right now SUpporters are not so active? I am absolutely in favour of the idea of SUpporters, as I can see a good potential in it. Even if I have not been part of SUpporters this year, I have been informed about the advantages and disadvantages regarding the team and I believe that it was mainly the lack of a certain delegation of tasks, that has prevented SUpporters from working on their full possibilities. This is the reason I would like to establish a more concrete format and activate SUpporters further. Specifically, my intention is to reorganise the team and delegate positions for SUpporters. Through this I would like to achieve creating a team around each SUCTie, which will work close with them on reference to their various and particular responsibilities. You can read her full candidature here. 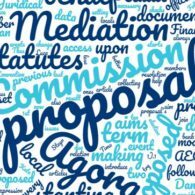 Suzan Dilara Tokac for Mediation Commission: "My Professional Background is Helping me to Understand Human Nature and Psychology, Which is Very Crucial for Mediation"
Matteo Lai for Member of MedCom: "My key words: prevention, impartiality and knowledge of the rules"